This exhibition looks at what children’s books reveal about the society who produces them. It explores the reasons why children’s books are important and how they are used as a teaching device. 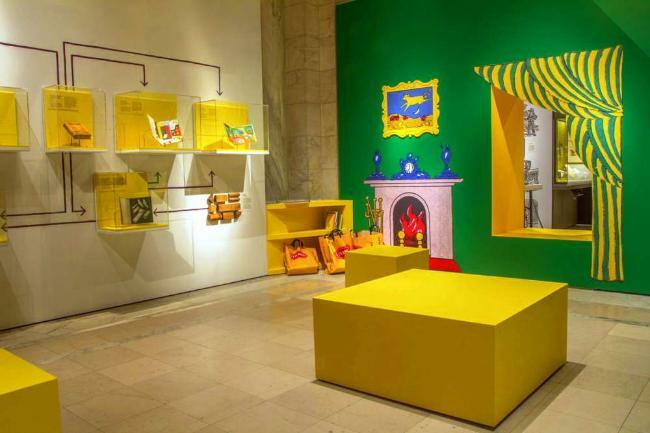 ‘Goodnight Moon’s’ room is life-size at the exhibit at the New York Public Library. ‘Through a dynamic array of objects and activities, the exhibition celebrates the extraordinary richness, artistry, and diversity of children’s literature across cultures and time. What are your favorite childhood books and why? How do you think children’s books shape us from children into adults?